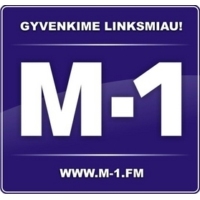 M 1 FM is the first commercial radio station in Lithuania, broadcasting from the capital city of Vilnius. The station was established on 31 December 1989. The first song played on M-1 was “Radio Ga Ga” by Queen.